Sam and Kate met when they were young and after living through an idyllic love affair that crossed frontiers, made a beautiful family together and were very happy... until something unexpected happened. Terry, Kate’s sister, and Michael, Sam’s brother, have always been with them. And although sparks fly every time they come into contact, the constant friction leads to familiarity and endearment and both know that their troubled chemistry could lead to a real breakdown, so they try not to complicate things any further. However, life is capricious and the relationship between the four of them gets even more difficult. Nothing is what it seems, the bad guy isn’t so bad and the good guy isn’t that good, hands up anyone who hasn’t got a little rust on them. 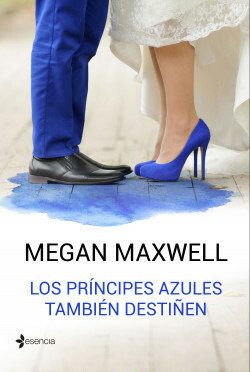 Los príncipes azules también destiñen will show you that second chances do exist, especially if you love someone with all your heart. Do you dare to find yours? So What's Up With You? Don't Even Think About It! Hey Girl, What are You looking at? Hello, Do You Remember Me?